Do We Really Need All This Natural Gas Infrastructure? With more engaged consumers we may find we need less. It’s a golden age for natural gas in the US. Production is soaring. In 2017 the country became a net exporter of gas for the first time in 60 years. Prices are low everywhere, well almost everywhere. The heavily populated regions of New England and Southern California are getting whacked by abnormally high prices this winter. Natural gas prices in Boston have been two to three times prices in New York, just 200 miles away. At the other corner of the country, Los Angeles is experiencing prices over 50% higher than San Francisco’s. In both cases high natural gas prices have rippled through to the electricity market and increased electricity prices within these regions and beyond. In both cases infrastructure constraints are the cause. Pipeline capacity into New England has not kept up with demand. LA’s high prices follow a catastrophic blow-out at the Aliso Canyon gas storage field in 2015 and a pipeline rupture in 2017. 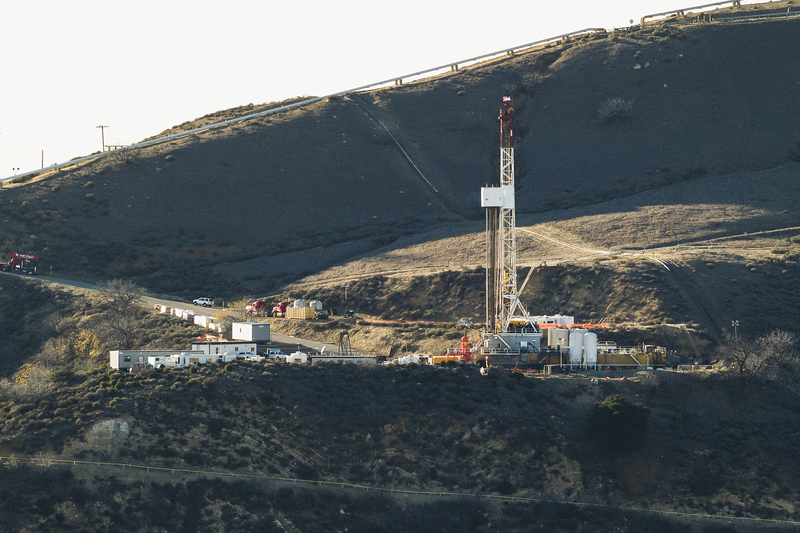 A relief well being drilled at the Aliso Canyon natural gas storage field in December 2015 to stop the leak. SOURCE. The big, infrastructure-oriented energy companies are arguing for….surprise….more infrastructure! 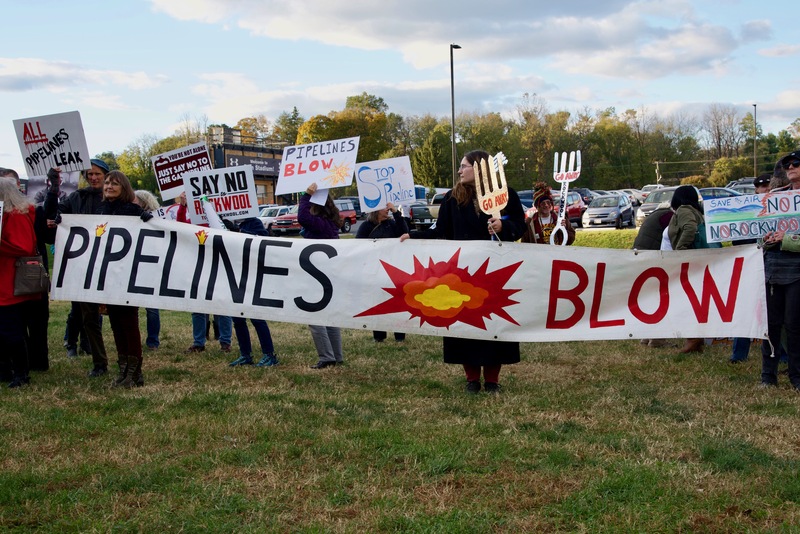 In New England, pipeline companies have proposed new projects. In Los Angeles, the local utility says it’s time to start up its Aliso Canyon gas storage field again. If you have a hammer, everything’s a nail. Protest against a proposed natural gas pipeline. “Pipelines Blow” by cool revolution. Licensed under a Attribution-NonCommercial-NoDerivs 2.0 Generic (CC BY-NC-ND 2.0). But these solutions come at a cost, economically and environmentally. Nearby residents and other opponents to these projects have successfully brought development to a halt. Regulators have been reluctant to greenlight these solutions. Before we make costly and disruptive infrastructure investments, what about looking at the demand-side? Could consumers do more to moderate demand when prices climb? Is there a place for regulators to engage consumers further? Big consumers, like power plants, pay market-based prices for natural gas. This means they’ve been incentivized to cut back. In New England, power plants are switching to fuel oil. In Southern California, natural gas power plants have been ramping down and letting plants elsewhere in the West pick up the slack. In both cases the power plant operators are making economic decisions that are cutting demand for gas when prices soar. Without these responses, infrastructure would be even more strained and prices would be even higher. But what about households? Most are probably oblivious. This is ironic since households contribute more to the daily and monthly swings in demand than any other category of consumer. The vast majority of households are paying prices set by regulators that don’t accurately reflect the current state of the market. The consumers are paying more for gas on average, but the high prices are being spread across multiple months, even into low price months. The timing delays can be big. The gas costs passed through by California’s electricity sector (calculated using a similar price-setting process) demonstrates just how big. In 2018, Southern California Edison undercharged its customers nearly $1 billion. They under-forecast the impact of high gas prices on electricity prices. Now the utility is going to collect that $1 billion by increasing prices in 2019. Customers who are so disconnected from the market probably aren’t doing much to help bring it back into balance. Lack of incentives means lack of interest and lack of action. Regulators are trying to get households to respond, but so far but they haven’t yet found an approach that is both fair and effective. Consolidated Edison in New York is rationing access to gas infrastructure by putting a moratorium on new natural gas connections in one county. This is in a region where consumers are replacing highly polluting fuel oil with natural gas for heat. But rationing has a bad track record, is unfair and is economically harmful. Look at the current situation with gasoline markets in Mexico. SoCalGas is trying the voluntary approach, issuing “Dial It Down Alerts” when prices get high. The alerts ask households to help out the system by lowering thermostats. Unfortunately, research from Energy Institute alumni have shown that voluntary appeals only work in the short run at best (Koichiro Ito et al), and may be fully ineffective (Jimmy Gillan). 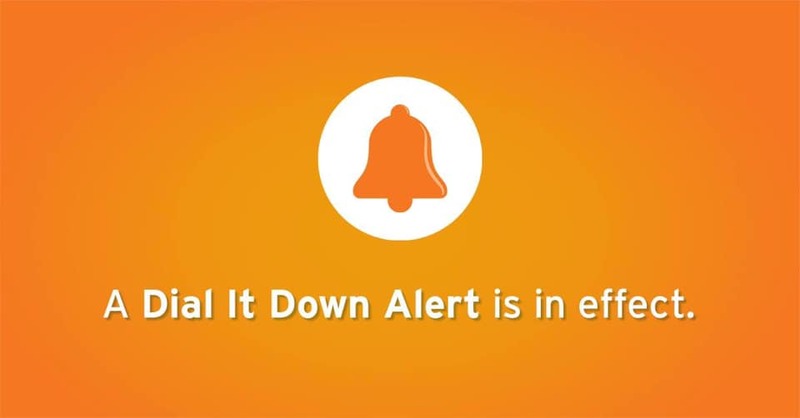 Southern California Gas Company has issued several multi-day Dial It Down Alerts this winter. But none of these approaches works as well as dynamic pricing. Research from Max Auffhammer and Ed Rubin shows that households respond to changes in natural gas prices, so this approach could work and take stress off of overtaxed infrastructure. SoCalGas is trying this approach, too. Their customers have smart meters that measure hourly gas consumption, so the utility can try some novel approaches. Over 9,000 customers have accepted a payment in return for SoCalGas controlling their thermostats on peak gas use days. An evaluation of the program found people dropped their usage in response to the program, but when an event ended, they stepped on the gas, so to speak, twice as much as they had before. No gas was saved on net. In electricity, shifting use across hours can be very valuable, but in the more flexible natural gas grid demand reductions need to last for longer, more like a day, to be helpful. The obvious (to economists) approach that hasn’t been tried yet is to set the prices households pay to more closely match the cost to serve them in the first place. This approach has been discussed for some time in the electricity sector and could be a problem-solver in the natural gas sector too. Step one. Take a careful look at the cost of delivering natural gas to consumers. How does it compare to the prices consumers pay? Severin Borenstein and Jim Bushnell’s recent analysis of residential electricity prices shows how this can be done. Regulators in California and New England should pay special attention to how costs vary over time — higher in some periods, lower in others. Step two. Estimate what could be gained from retail prices that better match costs. This could be compared to the cost of implementing such a pricing system. The distributional effects of such as change should also be evaluated. Regulators might conclude that improving natural gas pricing for residential consumers isn’t worth the trouble, but so far regulators haven’t even looked at this option. With potentially billions of dollars in infrastructure coming down the pipe, and unwanted gas storage facilities threatened with closure, now’s the time for regulators to take a serious look at the role residential gas consumers can play. Previous Previous post: Only Who Should Prevent Forest Fires? Next Next post: Can Cell Phones Help Improve Electricity Reliability? Good post, calling attention to potentially huge requested gas infrastrucuture investments and current delay in consumer price impact. I would include consideration of the climate change impact/cost of methane leakage everywhere along the gas system –production, distribution, to customer meter–which has led many to call for thoughtful phaseout of gas–another reason California ratepayers should not be stuck with sunk costs for new infra-structure. In addition to different pricing models, California is looking at incentives for transitioning from gas to electricity for high efficiency heat pump space and water heating. I would argue that eliminating obstacles to that transition is a more direct route to lowering demand for gas. The bigger issue is how to coordinate solving what is a short-term problem in the gas infrastructure while moving to retire the natural gas system in the next two decades. To meet California’s 2050 emission goals will require eliminating at least all building-related gas use. (Whether industrial and electricity generation use can continue needs to be explored.) Given that the current infrastructure is privately owned, what is the appropriate means of scaling down use? This will be a complex process with many stakeholders who will be resistant to the needed change. First, the New England market has been gas-constrained for more than 30 years. Prices into the Algonquin citygate in the winter often reach $100 per MMBtu. It has long been the case that large users could not obtain pipeline capacity to receive gas during winter months. Part of the objection to building new gas transportation capacity into New England has long been attitudinal and the houses Columbia Gas burned in Lawrence and Andover with its over-pressurization accident won’t help. Second, shifting natgas consumption during specific hours in a day actually _would_ help. The hourly data show that it is usually in the morning hours (when it is coldest and we all want hot water for showers and the house warmed before we get up) that natgas demand peaks. Third, natural gas is traded primarily in a monthly market, with some buyers and sellers (mostly power plants or for daily swing requirement) using a daily market. There is no hourly natgas market and there is no after-hours market by day — and there is no weekend market. The marketers like it that way and have vociferously resisted suggestions (explored by NAESB, as directed by FERC) to change it. To get consumers real-time price signals for natgas, we need a fully-functioning _hourly_ market. It is really easy and fun to think we can make this better. But having been in this business 30+ years, I’d settle for folks just putting their thermostats at 68 during the day and off at night. Jimmy Carter was more right than we remember: put on a sweater. Energy Institute Blog Do We Really Need All This Natural Gas Infrastructure?